PG Mix 14-16-18 is an all-in-one powdered compound fertilizer for potting soils which converts ordinary peat into high standard potting soil. 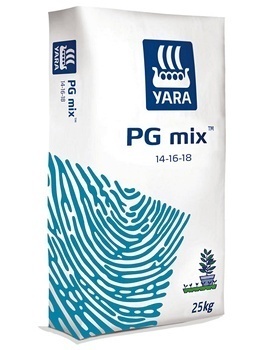 PG Mix removes the burden of mixing straights and provides even distribution of nutrients in the potting medium. General purpose, high phosphate fertilizer with an excellent reputation amongst producers of potting soils and peat substrates.